We have made some changes that we hope you will like. Before you could post ads in the service category for free by telling only about your service and not your business or company. However almost all ads that was posted did not follow our Guidelines and was for that reason not approved. 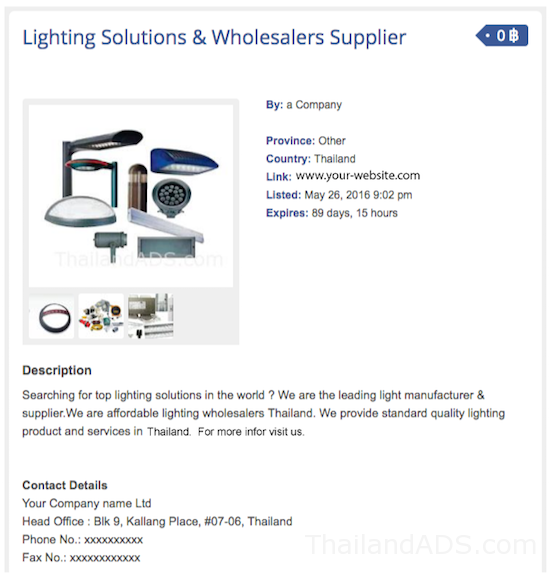 We have now make it possible for you to post as all was doing before, meaning telling about your company and all your services in one ad, you can see an example below. Now you can tell about your company when you post an ad in the Services category. 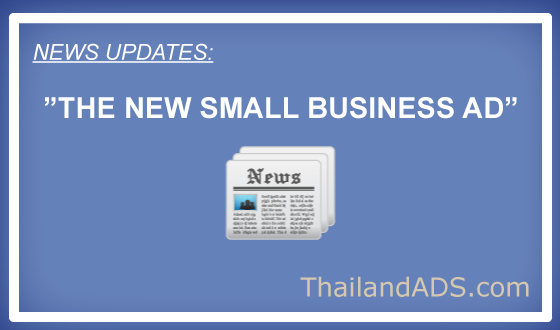 This is a new offer from ThailandADS and we call it Small Business Ad. 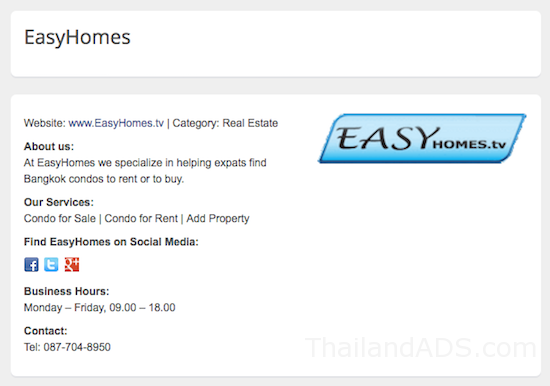 This is an self-service and you post that ad in the Service category on ThailandADS and pay the small fee at the end of the posting process (secure via Paypal). We have now 2 options for you. 1. Small Business Ad: Describe your company / business and product / services – You will be online in a few mins. 2. The Business Pro “Gold Member” package that we have for a while. It is very easy to get started. Just click “post an ad” and select the Services category. At the end of the posting process you will be send to Paypal so you can pay the USD 5, easy and secure. The ad is online for 3 months and you can renew it after that (and pay again). But please take a look (below) at the picture (an example) fist so you know how to do. – Your company name 2 times in the text. – 1 link to your company (www.your-company.com). – Related photos – without marketing text. – The address to your business. – 1 link to social media. – Easy to renew after 3 months. – Price: Only 5 USD, online 3 months. Do not write about your company name in the title, and for having your logo please upgrade to Featured. If you want a logo just click the Featured check box when you post your ad, + 8 USD. How to start: Just click the button and select the Service category and you will soon be online. Now: Including Marketing and Social Media Campaign with a value of 60 USD meaning you actually pay only 30 USD for the “Pro package”. – Get your own Brand page. – Social Media targeting campaign. – Post unlimited Ads (according to our Guidelines). – Easy to renew after 12 months. – Price: Only 90 USD, online 12 months. Now: Reach 50,000 potential targeted customers via Social Media (value 60 USD). This is a Social Media campaign that we run for you (included). How to buy: After your payment we will start to create your brand page. Often you will have this the same day.